In Her Element is a proudly Filipino-made brand that seeks to push the envelope when it comes to creating new skincare formulations. We believe that busy women need effective skincare that does what it says. Our promise is simple: get maximum glow for minimum effort with In Her Element. Our skincare is all about creating balance in the skin’s fragile system. We believe that good skin stems from treating it with respect and using gentle products with powerful active ingredients. Core to In Her Element is the use of clean ingredients with no fillers. We test only on ourselves - we love animals! - and whip up everything right here in the Philippines. All our products are fragrance-free, sulfate-free, paraben-free, and cruelty-free. Liz Lanuzo has been blogging about beauty for almost ten years now. After incorporating a company to run her successful website, Projectvanity.com, she hired an amazing team of writers and grew both PV's relevance and community. Today, PV has become the top beauty resource in the country, offering detailed reviews and features on products and services. Shortly after, she realized that women need more skincare options that feature safe yet highly effective ingredients that don't cost a ton of money. She wanted to know what women really need out of their skincare and to deliver exactly that. Thus, In Her Element was born on December 2016. 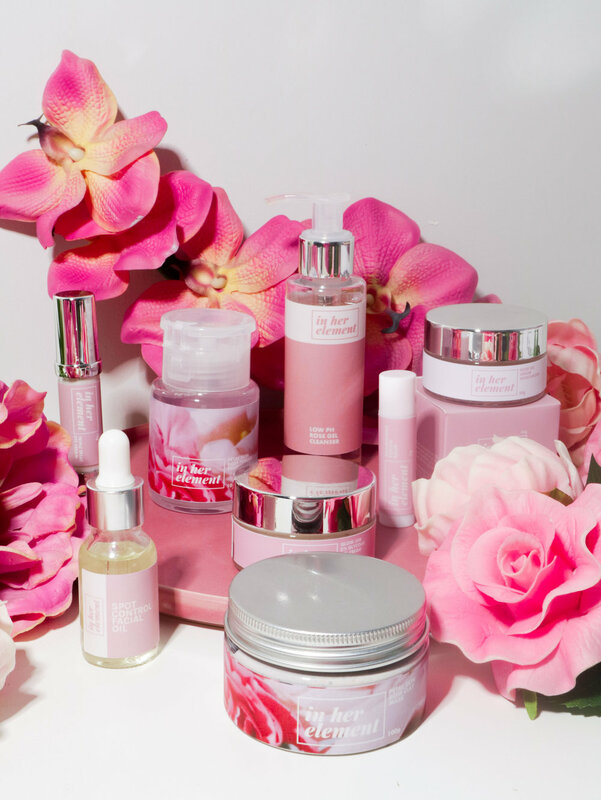 Today, In Her Element has developed a small yet well-curated line of products that offer sleek solutions to skin problems. It is now available in malls via Beauty Bar (under the SSI Group of Rustan's) as well as BeautyMNL.com. With plans to expand in the future, In Her Element is set to be the next proudly Pinoy brand to take over Filipina's beauty routines.